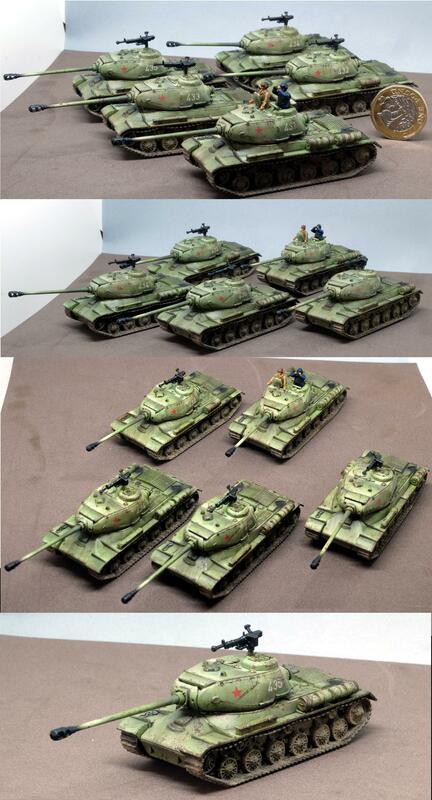 Platoon of 5 IS-2 tanks. 1/100 scale, made by Plastic soldier company. Part of my Soviet forces. I really like them, except for blobby commanders, have to replace them with other miniatures (Plastic Soldier Company makes excellent tanks, but infantry figures are not so great unfortunately).